RMLNLU Lucknow’s graduating class of 140 this year has secured 50 job offers, 20 out of which are from legal process outsourcers and nine of which have been bagged independent of the campus placement process (LPO). 102 students subscribed to campus placement in April 2012, eight of whom bagged pre-placement offers, while 33 were recruited after campus interviews. Quislex Hyderabad was this year’s biggest recruiter hiring 12 students, while Pangea3 and OSC Legal hired four each. Lakshmi Kumaran & Sridharan and Phoenix Legal each hired two students, while one each bagged roles with Khaitan Sud & Partners, Remfry & Sagar, HSB Partners, ALMT Legal, Arimus Law, ACM Legal, KK Sharma Law Offices, Meharia & Co, Pavan Duggal Associates, WS Kane & Co and Priti Suri & Associates. Suri & Suri Law Offices hired three students. One student each made it through Kings College London, Leiden University Netherlands, National University of Singapore, SOAS University of London, University of Durham, University of Edinburgh, University of Glasgow, Christ University Bangalore and Tata Institute of Social Sciences Mumbai. Two students each made it through Queens Mary University London, University College of London and University of London. Eight students were selected for judicial clerkships. 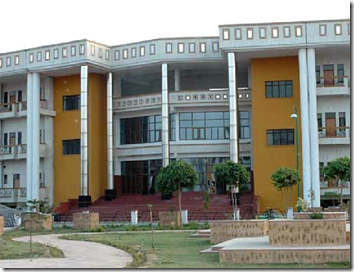 The third graduating class from Lucknow was the second largest in graduating batch sizes from the university. Last year 25 out of 154 secured jobs, while the very first batch of 71 bagged 13 jobs. NLIU Bhopal also placed 25 students out of a class of 78, while NUJS Kolkata placed 73 in a class of 100 students graduating this year, according to legal website Bar & Bench (see table). Amarchand Mangaldas hired 13 from NUJS, with Luthra & Luthra and J Sagar Associates (JSA) picking up one each, and Trilegal two. International firms Allen & Overy and Herbert Smith picked up two NUJS students each. The entry under total column does not match with actual totals. This may please be rectified. Which college has a better recruitment? And then some 'national' magazines put NLIU Bhopal over NUJS! Check out the NUJS stats on Bar and Bench, "Research assistant with Mr. X", 9 in Litigation, CLAT Coachings, etc. Seriously NUJS, you think you can fool other National Law Schools? We haven't heard half the names in there. NLIU and NUJS are failing and we're not bothered by their rankings anymore. At least, NUJS reports the number of people who have been recruited, and not the number of offers like NALSARats have done this year. Nalsar people got recruited by AP Metropolitan Water Board (Seriously? ), CKR Associates, Credence Law Associates. Well, I was expecting Sulabh Shauchalay also. Maybe next year it would be right up there! The CLAT Coaching was founded by the NUJS graduates and is now thriving. They had it in them to do something on their own and hence prefered not to work for Water Board or Tier 5 firms. Why are you looking down on other people's jobs? What is wrong with being an RA for Mr.X? Mr.X may be doing a commendable job to further research in the field of Y. In other countries, Mr.X and his RA's would be well respected. Heck, anyone doing an honest day's work is respected. But here in India, intolerance is a way of life. Looking down on people seems to be cool. Research job- uncool. CLAT coaching- uncool (ummm hello, if there was no coaching for CLAT, most students, present and future would not have made the cut- somebody has to take initiative- who better than the ones who cracked it themselves?). Litigation has also become uncool. While you're at your desk filling up due diligence forms (which is commendable and without which corporate governance is impossible), that kid who took up litigation is running through the hallowed halls of the courts of justice trying to get that wife, daughter, son, father, mother, organization justice. Let us not belittle other people's work, because even if you didn't intend that, your words certainly implied that. I hope you're not the sort who doesn't value his domestic help Mr.ABC- cause your message makes it seem like you're the sort who revels in looking down on people. Do you realize what 'Placements' are? The list is supposed to indicate the people, the RCC helped get jobs. Students from NUJS started their own CLAT coaching - one which is doing fairly well I believe. I don't understand what is wrong with it. Many students genuinely prefer litigation - some of the toppers of the batch opted for it and didn't sit for recruitment. This is verifiable. Look at the law school from which the top 6 law firms hired the most. It is NUJS. I am afraid that is what counts, not your lack of knowledge of name of law firms. Wht abt placements in GNLU???????? Hey Noojies, at least those guys in Bhopal aren't inserting god-knows-what to bubble their Placement stats. Your placement quality has suffered severely. Why are you SOOO jealous? 20 out of 50 got recruited by LPOs. 90 out of 140 did not even get recruited by LPOs. Now - THATs really bad. Kian, I believe three NLIU grads have an offer from Cambridge, LSE and QMUL each, two have opted to take an LLM at NLIU, while one has a call for interview at DU for LLM. Add: There is an offer each at NDA, one more at JSA, and one at Clasis Law. There is a difference between batch strength and number of people sitting for placements. I don't think 25 people getting place out of 35-40 is a bad number against 73 out of 100. Seems slightly irresponsible. So, that makes it 33 in total! ok man. First, the data here needs an update as there were 8 placements from nliu to Amarchand and quite other placements too but i dnt really feel the need to elaborate.Also the other law schools have also done pretty well. second, all law schools have started to hit the ground.Getting a job a big shot corporate law firm is not every thing. the standard of education is simply pathetic. There is something really wrong and we should do something abt it.